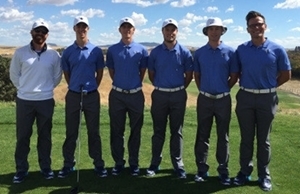 On Monday, one week after winning the Bellingham Amateur at Lake Padden, WWU junior and Business Management student Willy Scholten heads into the 2016-2017 college season in the Itani Quality Homes Collegiate at Palouse Ridge. We spoke with him about his win at Padden, his summer, and his hopes for the coming year. Tell us a little about yourself. Where did you grow up playing, and what is your lowest round to date? I grew up playing Homestead in Lynden, but my lowest round is a 64 at the Country Club. What's your favorite course in Washington? As much as I love Homestead, my favorite course in WA is Wine Valley in Walla Walla. The layout and style of golf is my favorite. I haven't played a whole lot outside of Washington, but I'd love to play Augusta some day. Are you working with an instructor right now? I don't really have an instructor, but I do go to my Coach Lucas Bennett when things feel off. And I also get an awesome second eye from my teammate Brett Johnson who has helped me a lot. Did you play in many tournamets during the summer? Yes, I played quite a few, and won the Homestead Open as well as the Bellingham Amateur. 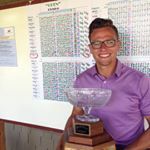 In July, I made it to the quarter-finals of the PNGA Men's Amateur Championship (went out 2down to California's Pete Griffith) at Wine Valley which was great as I got to compete against some of the top amateurs in the state and from around the region. How confident were you going into the Bellingham Amateur? I wasn't as confident as I would have liked to be. My swing didn't feel awesome and I hadn't really played Lake Padden that well in the past. I did get in a few more practice rounds than I usually would though to develop a good game plan for the course. I tried to make my plan as simple, easy, and conservative as I could. A first-round 67 must have felt good. The first round was very nice. I was really just trying to shoot around even par to be honest. I was one-over through the first four holes, and stayed really patient the rest of the way. I birdied all the easier holes and made pars on the tougher holes. It really was a round that just slowly got put together. You were tied for the lead after two rounds with the University of Fraser Valley's Halen Davis. How did you feel ahead of the final 18? I was pretty excited. I felt very confident in my game, and I absolutely love the feeling of knowing that you're near the lead coming down the stretch of a golf tournament. I feel that it brings out the best in me. Had you met Halen before the round? I just met him for the first time that day. He was a joy to play with, as well as Brett Johnson. I didn't treat it as a match play round. I tried to ignore what they were doing as much as possible, and focus on the shots I needed to hit. They struggled early in the round, and I was able to get to two-under for the round through the first seven. I stayed there until the 13th and was able to kind of coast home. I made a double at the 16th, but thankfully had a big enough lead that it didn't really matter. It was an awesome experience to be able to tap in on the last hole with all my Western teammates around the green rooting me on (Scholten finished on two-under 214, three clear of WWU teammate Ezra Arneson). This week marks the beginning of the 2017-2017 college season. How do the Vikings stack up this year? We have a very talented team I think, and firmly believe this will be our most successful year since I got here. We have three great new freshman that will contribute a lot, along with three phenomenal seniors who have loads of experience in college tournaments. Our goal is to defend our GNAC title and go to nationals. What about you personally? What are your goals for the year? I would love to contend in a lot of tournaments, and continue to grow my game. But most of all. I'm looking forward to helping out guys on the team. I got named as co-captain this year with Brett. We're both excited to help lead this team to its full potential. Luke is an amazing coach and player who understands our games and knows how to push us. We have a lot of hard-working players on our team that are eager to play well. It is going to be an extremely fun year for us.